Storm damage can be severe and leave a trail of destruction from flooding, strong winds and lightning. In recent years, the UK has seen some of the worst weather damage on record, with torrential rain, gale-force winds and flooding across the country. With households suffering millions in uninsured losses, it’s no surprise that many homeowners are keen to take out cover for storm. Worryingly, changing weather patterns mean storm damage could become a regular winter staple, sweeping into parts of the country even earlier in the season. 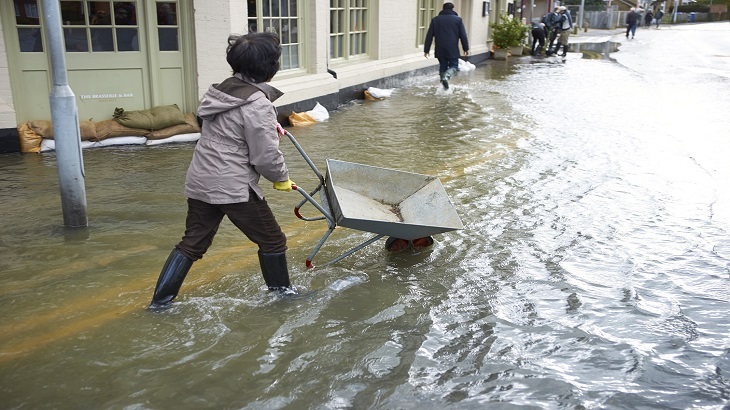 Preparing your home to cope, can limit the impact of a storm, including from flooding and rain damage. Thankfully, weather forecasting has improved since the devastating surprise storm of 1987, but it’s still a smart idea to get your home storm-ready. In 1987, the UK experienced one of the worst storms ever recorded, with wind gust of up to 100 mph, and the decimation of 15 million trees. How can you protect your home from storm damage? If safe to do so, check your pipes and water tanks are insulated to prevent freezing and that the release point of overflow pipes is not obstructed. Ideally, you'll have a regular maintenance programme in place. When you know a bad storm is on its way with Met office warnings about gale-force winds and floods, make sure children, pets and your family and neighbours are safe. Make sure you're indoors when it hits and don’t try to repair any storm damage during the bad weather. 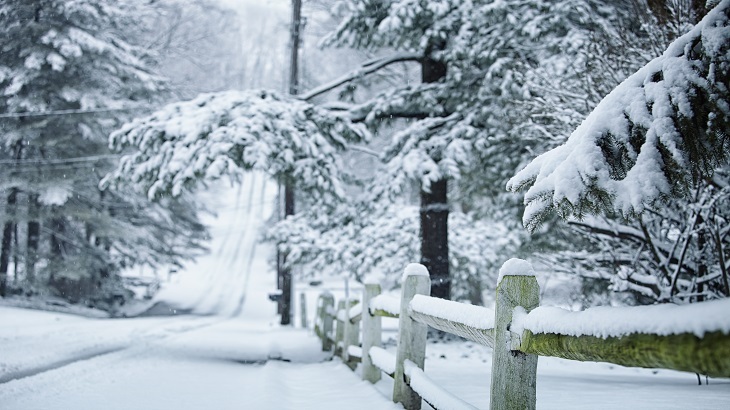 We recommend maintaining a minimum temperature of 12 degrees in the home during severe weather to protect pipes in particular from freezing. Always be cautious when undertaking any task that you're not fully familiar with as you could injure yourself or those around you. Seek professional help where required. So, this winter, make sure you're storm-ready. Secure loose objects such as ladders and garden furniture. Close and secure all windows and doors. Check on loved ones before a storm strikes, but once it arrives, stay indoors. Don't try to drive and stay clear of trees or buildings that could collapse. Is storm damage covered by Home Insurance? Your Home Insurance policy should cover you against storm damage, depending on the nature and extent of the impact. Over the years we've helped customers who've been forced to evacuate their homes to access temporary accommodation and pay for repair work. Aside from water and rain damage, common problems from storms include collapsing roofs, fallen TV aerials and smashed windows from falling trees, branches and other debris. If you have Home Insurance, you should check what you could be covered for, in the event your property is affected by weather damage from a strong storm. If your house has been affected, we'll help you to assess the damage and determine whether the event constitutes a storm. This will be a big factor in whether a claim will be accepted or not. We consider a storm to be wind speeds with gusts of at least 47mph/75kmh or torrential rainfall at a rate of at least 25mm/one inch per hour or snow to a depth of at least one foot/30 cm in 24 hours or hail of such intensity that it causes damage to hard surfaces or breaks glass. When assessing a claim, we'll also take into account the condition of your property, because a well-maintained building should withstand all but the most severe weather damage. It's important to remember that you're responsible for maintaining your home in a good state of repair. If you're claiming for storm damage we'll ask you to confirm the date of the incident and show pictures of how the conditions at the time damaged your home. We may appoint one of our specialists to inspect your home or ask you to send us a report by your contractor. Loss or damage to fences isn't covered by our policy, so make sure these are secure as they can be to withstand a bad storm. Powerful storm winds, rain and hail can cause car damage too; vehicles can be swept off the road and engines flooded. If your car is damaged in a weather event, this may be covered by your car insurance depending on your chosen level of cover - you should check with your provider.